I am a lover of brushes. I lust after them all in Boots (and at the MAC Counter), but barely ever buy any. I used to be one to buy the cheap sets from eBay (some of them are good, others are wasting space in my collection), but my views are now changed and I am really into the quality brushes. I saw on 'Makeup Savvy' that she found a great bargain on eBay of these EcoTools brushes. 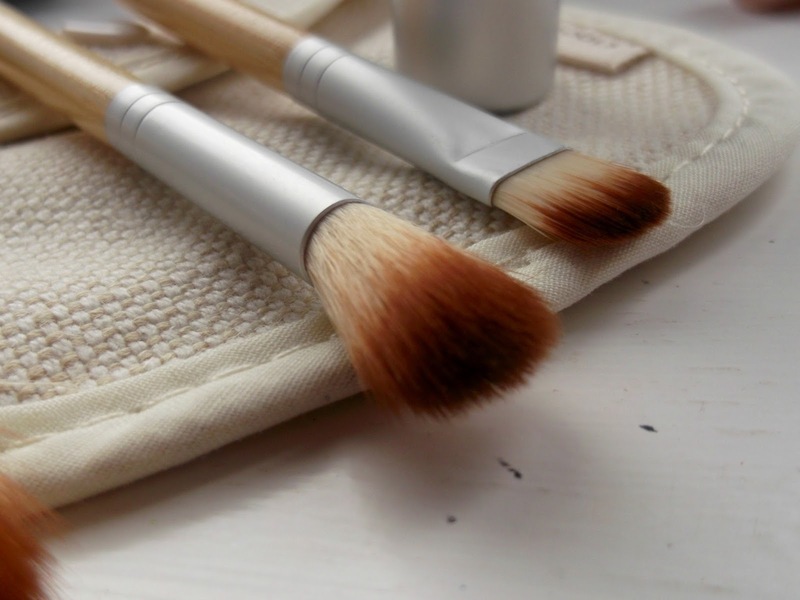 I know that they have actually updated these brushes, the pouch is different (well, I'm hoping I am right, and these aren't a fake! I think they may be the Chinese version anyway, as that is where they are from), but this set normally retails for £19.99 but I got it for £2.89! What a bargain! From left to right, you have the Mineral Powder Brush, the Eye Shading Brush, the Concealer Brush and finally, the Baby Kabuki. 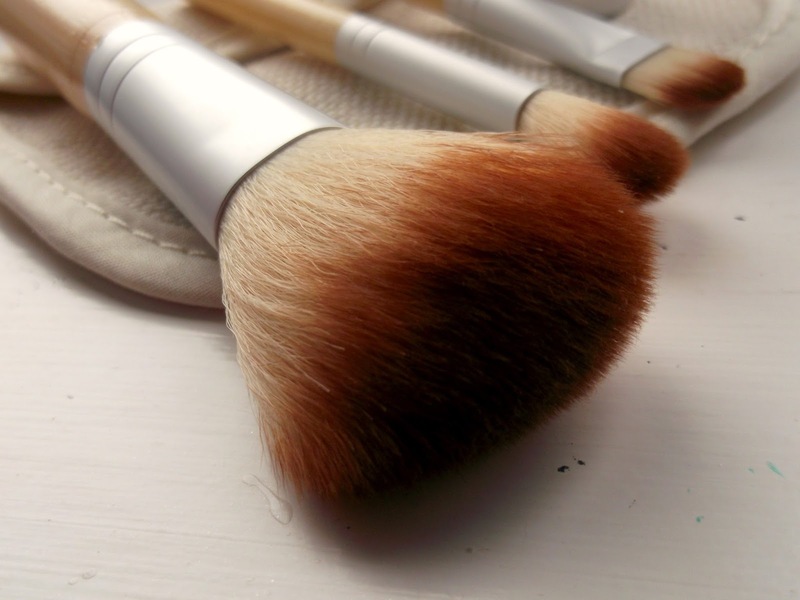 Starting with the Mineral Powder Brush. 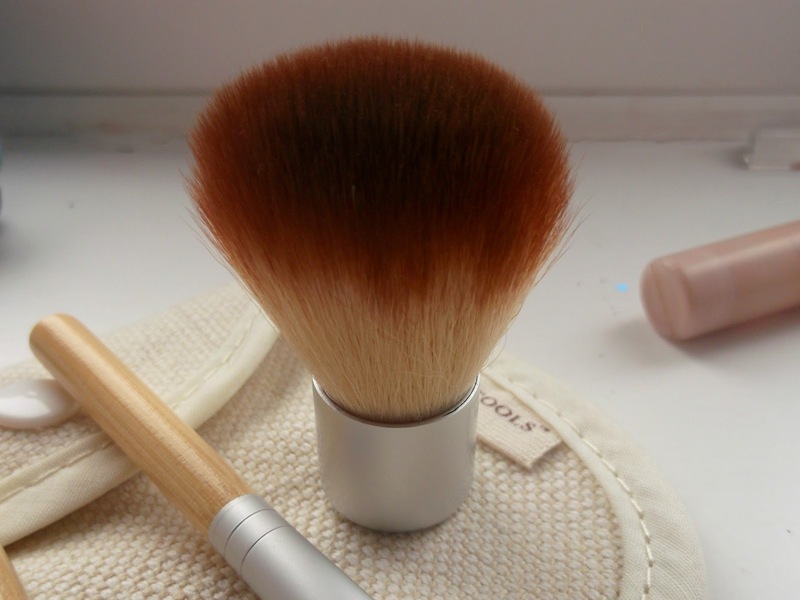 This brush isn't too dense, so I'm not sure it would get quite enough powder for my oily skin, but this is perfect for a light touch up of powder or applying a powder blush to the cheeks. I also think this would be lovely for adding a glow with some bronzer, or even if I want a very slight highlight, I could pick up a little product with this and sweep it over the cheekbones. Oops! Blurry camera shot... But this is the Eye Shading Brush. 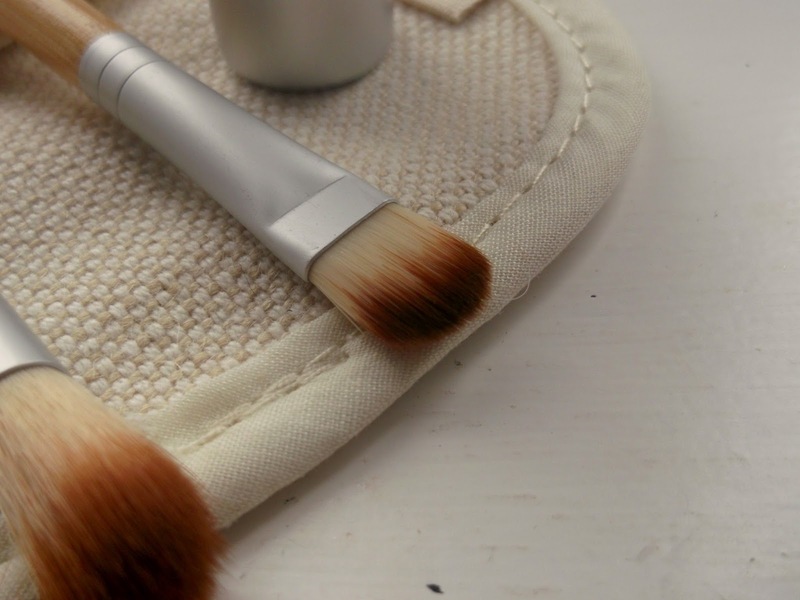 It is a big fluffy blending brush, and I find it to be a cross between a MAC 217 blending brush and the blending side Urban Decay Good Karma eye brush. I like this to blend all my eyeshadow together, and if I want just a soft crease, and nothing to thin and sharp, this is nice to give that effect. This is one of my favourite brushes from the collection. This is the concealer brush. For under the eyes this isn't the best, I prefer something more fluffy and soft (Real Techniques Deluxe Crease Bruse? I really want to buy the Starter Set for that! ), but on blemishes (which I have a lot of..), this is perfect to get a nice coverage by patting on the product. This is another good brush, well, they are all great! Cutest thing ever. This is the baby kabuki. This will be used for either powder, or possibly buffing in any contour or blush I want to tone down a little. This would be great for so much! I think it is so cute, because it is teeny tiny, and looks so nice on my drawers for makeup storage! Is that weird... I don't know, but it is so soft aswell! 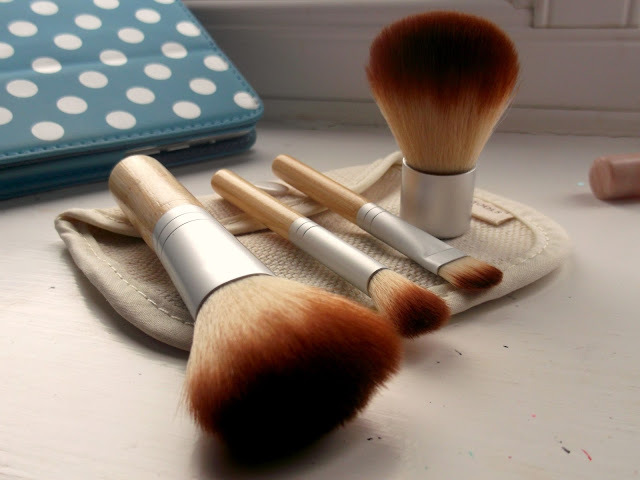 You also get a nice little travel pouch, which is so cute and would be great as these brushes are mini, and no-one wants the bristles to get ruined! It just finishes off the travel set! So that was it for my review of these brushes, and as I am interested in brushes more, I thought I could do a brush wishlist for you soon, if that is something you guys would like to see? Let me know in the comments! Also, let me know what your favourite brushes are, as I am on the hunt for some more! They look so good! Are they as good as the real techniques brushes?